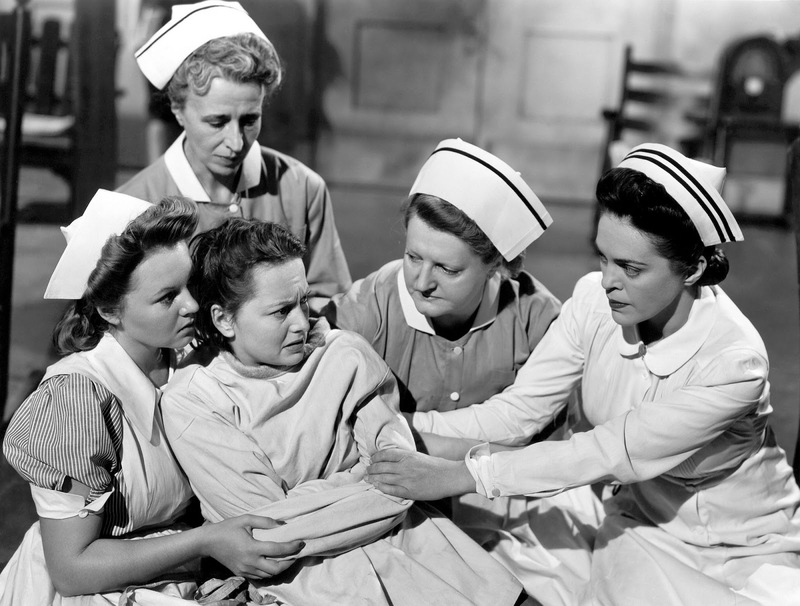 The Snake Pit (1948), starring Olivia de Havilland, is one of the 1001 classic movies you should see. Each Monday, I'm going to recommend a classic movie you should see (for the reasons behind the 1001 series and reviews of earlier films covered go here). Old Hollywood legend Olivia de Havilland celebrated her 100th birthday on July 1, so this month I'm honoring her centennial by looking at three of her best movies. Today's selection is the searing psychological drama, The Snake Pit (1948). 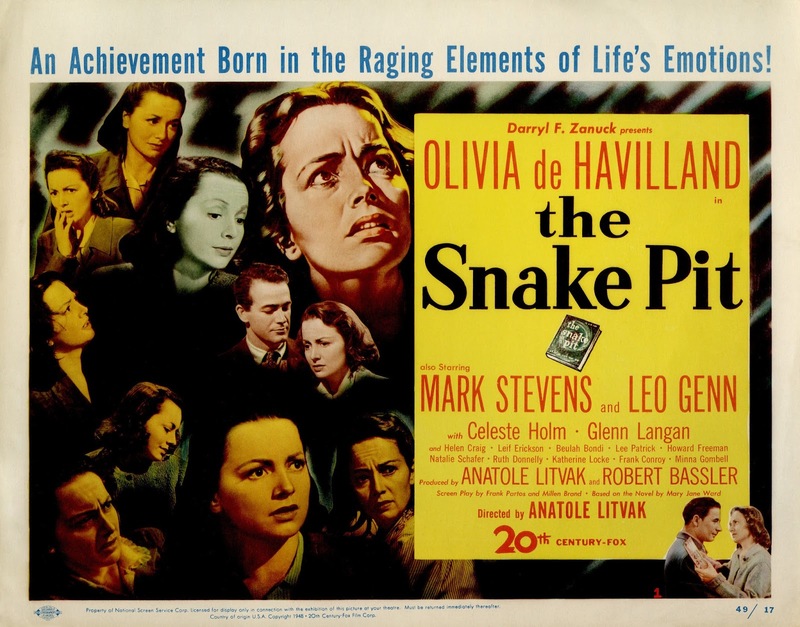 The Snake Pit tells the story of Virginia Cunningham (de Havilland), a troubled young woman who ends up in a New York state mental hospital after a nervous breakdown. Virginia endures a variety of cruel treatments like shock therapy and hydrotherapy before recovering somewhat because of the treatment of a kindly psychiatrist, Dr. Kik (Leo Genn). However, after Virginia is goaded by an unfriendly nurse (Helen Craig) she ends up in the hospital's worst ward, which is known as the snake pit. The Snake Pit is based on a semi-autobiographical novel by Mary Jane Ward about her time in a state mental asylum. 20th Century Fox chief Darryl Zanuck acquired the rights for director Anatole Litvak and star Gene Tierney, but after Tierney became pregnant Litvak requested and got de Havilland, who threw herself into research for the project by visiting several mental institutions and watching shock treatments and therapy sessions. The result was a critical and box-office hit (it broke box-office records in the United Kingdom) that helped reform some of the practices in state mental hospitals. By 1948, de Havilland had one Academy Award under her belt (for To Each His Own), and she was considered one of the best actresses in Hollywood; however, de Havilland's performance in The Snake Pit put her on another level. She threw herself into the project with her usual dedication, and the result is a performance completely without vanity. De Havilland set aside all movie star glamour -- she looks disheveled for most of the picture -- for a raw performance that is only equaled by her great work in The Heiress (1949). 1. State mental hospitals. As depicted in The Snake Pit, many state mental hospitals in the 1940's were prison-like institutions that were unsanitary and used cruel treatments. The film's success resulted in wide-spread reforms throughout the U.S.
2. Leo Genn. This movie belongs to de Havilland, but Genn gives a sensitive performance as the caring psychiatrist who takes a personal interest in Virginia's case. Dr. Kik, who has a portrait of Sigmund Freud on his office wall, prefers the talking cure to harsher methods like shock therapy, and it's not hard to imagine that in different circumstances he and Virginia could have been friends or even romantically involved. 3. "Goin' Home." The best scene in The Snake Pit is Jan Clayton's performance of the folk song "Goin' Home" at the hospital's dance. It is a deeply touching moment that is beautifully directed by Litvak with a stunning crane shot at the end. 4. Beulah Bondi. There's not much levity in The Snake Pit, but Bondi gives a wonderful comic performance as an eccentric inmate, who puts on aristocratic airs. She claims to own the Hope Diamond and a priceless gem called the "Hopeless Emerald." Other critics: The Snake Pit has a 100 percent fresh rating at Rotten Tomatoes, and Leonard Maltin calls it "one of the first films to deal intelligently with mental breakdowns and the painfully slow recovery process" in a three and 1\2 star review for his Classic Movie Guide. Critics in 1948 also handed out raves. Gossip columnist Louella Parsons declared that the movie's handling of state mental institutions was "the most courageous subject ever attempted on the screen," while The New York Times critic Bosley Crowther praised Zanuck and Litvak, writing that "They stuck rigidly to documented facts, and they shunned the obvious temptation to melodramatize insanity. The consequence is that their picture. . . is a true, illuminating presentation of the experiences of a psychotic in an institute. It is a cryptic but trenchant revelation of a crying need for better facilities for mental care. And although it is frequently harrowing, it is a fascinating and deeply moving film." 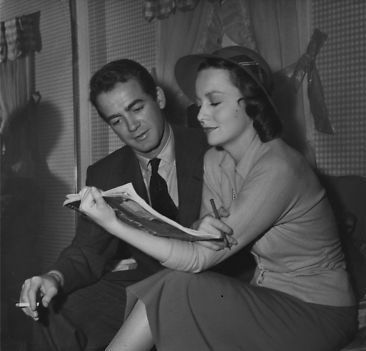 Mark Stevens and Olivia de Havilland study the script for The Snake Pit (1948). The bottom line: If you only know de Havilland from her work in Gone With the Wind, take a chance on this movie. You'll be rewarded with a complex, multi-faceted performance in a movie with a surprising amount of genuine emotion. Availability: The Snake Pit is available on DVD and video on demand. Next week, I'll continue the theme of Olivia de Havilland movies with the Southern gothic horror film, Hush. . . Hush, Sweet Charlotte (1964). of her films. Rightly so, she is superb. Cuckoo's Nest". It deserves to be better known.